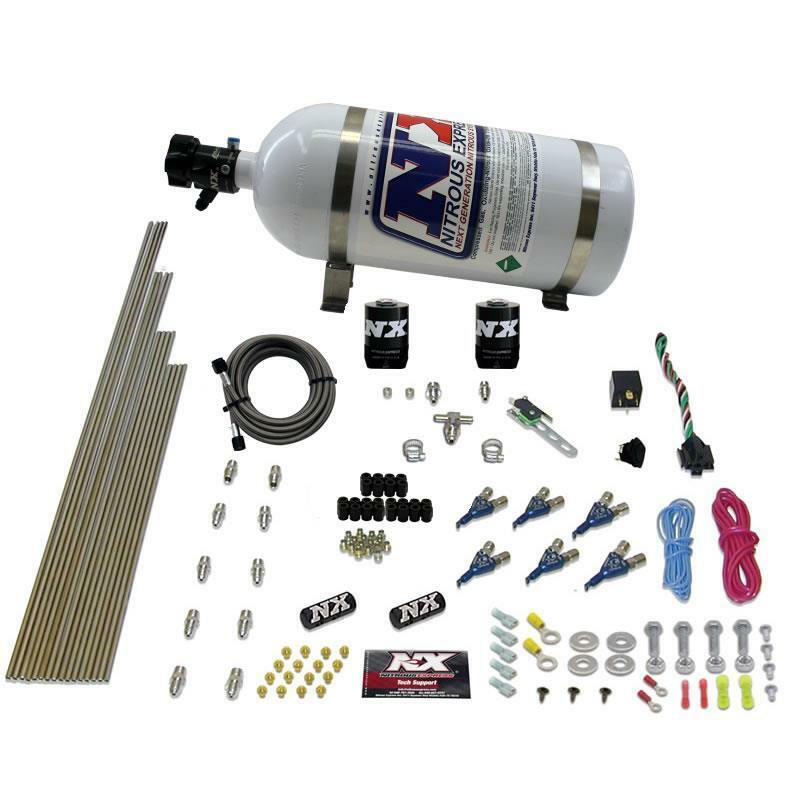 Nitrous Express Nitrous Kit - Direct Port - Piranha EFI System - Pann Auto Performance - San Diego largest aftermarket automotive performance parts - What do you drive? The NX Direct Port Piranha EFI Systems are for the crowd who have already modified their engines with high strength internal engine parts. These systems utilize the patented NX “Piranha” nozzle and are adjustable up to 300 Horsepower! Available standard with high tech distribution blocks, optional “Next Generation” rail technology or “Shower Head” distribution blocks. Nitrous system comes complete with your choice of 5lb, 10lb, 15lb, or 12lb composite nitrous bottle, stainless bottle brackets, stainless hard lines, nozzles, jetting, and all necessary electrical components. This system requires the drilling and tapping of intake.